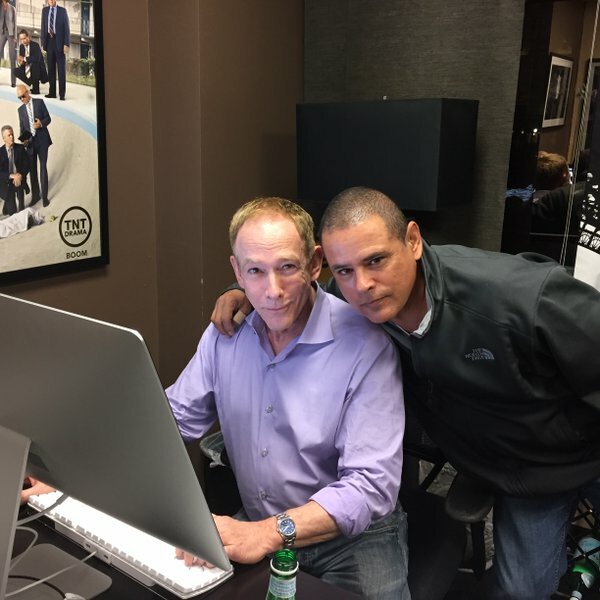 Major Crimes' Executive Producer James Duff was back for Q&A tonight with Raymond Cruz (Detective Julio Sanchez) on the Major Crimes' Facebook page. 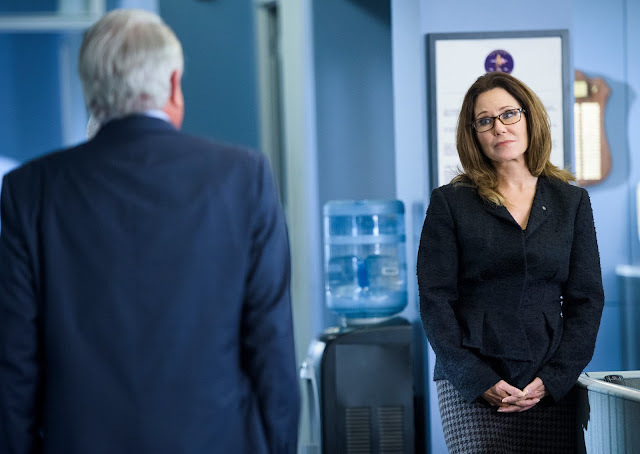 We've recapped the Q&A below but before we into the chat...earlier this week Mary McDonnell received the Broken Glass Award alongside Jane Seymour, Beverly Johnson, Joyce Bulifant, and Donna MacMillan. The award recognizes extraordinary women and is given by Palm Springs Women in Film and Television. Several members of the Major Crimes team were there to celebrate as was Edward James Olmos, who starred with Mary on Battlestar Galactica as Commander William Adama. Congratulations Mary! So Say We All. Since tonight's episode features a guest appearance from "Extra" host, Mario Lopez, GW Bailey (Provenza) hit the guested on Extra earlier with this. Tony Denison, who plays Lt. Andy Flynn was on the Frank Talk Radio show on LA Talk Radio with Frank Sheftel and Denise Culp. The shows are archived and you can listen to it here. He talks about his involvement with the charity started by GW Bailey, called The Sunshine Kids. The group works to get trips for children with cancer. What a wonderful cause. And one more thing before we start the chat recap...here is last week's installment of Identity - Rusty Beck's video log. These are short internet only vignettes that weave in and out of the main Major Crimes storyline. Here is the chat recap. As always, we only include Duff's answers because he does a great job of recapping the questions. As always, specific references to tonight's episode or anything that could be construed as a spoiler has been omitted. James Duff Hi everyone! Raymond Cruz are here tonight to chat during our premiere! If you have questions for us, feel free to join in the conversation. Meanwhile, I'll just give you a few extra details about Ray, who I've been working with now for a dozen years. He and I share and contractor! And have both spent way too much money rebuilding houses we probably should have tried selling. And he's helping rebuild my grandmother's 1955 Bel Air Chevy! Ray's son was a ring bearer at my wedding. James Duff People asking about my love for Survivor, don't hate me. I love and admire the series and the people who make it are awesome. I can't play it, though, because it's outside. James Duff Gracie A asks what Raymond's favorite thing is about playing Sanchez. He says it's about peeling the character back slowly over the twelve seasons he's been at it. Every season, he feels he gets to go deeper. I can also say it's very meaningful to him when police officers and their families compliment him on his portrayal. James Duff Lorraine B asks about a love interest for Det. Sanchez. Det. Sanchez gets a love interest in our five part mystery coming up in February. James Duff Bárbara G asks if Sharon will ever find out that Rusty used the background searches of tipsters last summer to find Gus….I can't answer. James Duff Ilona Arcari asks about the hostility between Flynn and Sanchez. They are mostly over it. Sanchez being a work-in-progress with his temper makes Flynn nervous. Not only because Sanchez has temper issues but because those issues could backfire on Sharon, because she has stood up for him so much. James Duff Dally Anne C asks what's most challenging about Captain Raydor's relationship with Andy. And that would be keeping a balance between her professional relationship at work, where she is a supervisor, and their personal lives, where they must be partners. James Duff And to those asking if Sanchez's demons will ever go, Ray says he hopes they will always be somewhere! James Duff I know multiple people are asking about renewals and if we are coming back Season Five. I can only say that negotiations are ongoing, and that we are doing very well, ratings wise, because of all of you. James Duff Deborah Lacy asks how I pick which one of our writers composes which episode. I try to match people with stories that will speak to them emotionally in some way. Or connect with them the most passionately. Also, it sometimes boils down to who's available. Leo Geter and I discuss this pretty closely before the script goes to a particular person. James Duff Raymond's favorite episode, he says, is the next one! Always! James Duff Renée Nichole W says since Flynn has nothing to do, he should make his own Facebook Page. James Duff Cindy D B- Buchanan asks why Julio wears a wedding ring. It's because he's still seriously in love with his wife, even though she died over a decade ago. He has a picture of her on his desk, too. James Duff Stephanie Phipps asks if there will be a Christmas episode this year. We will have Christmas in the Murder Room (a little) but our fall series ends sooner than last year, the Monday before Christmas. And then we come back for all five Mondays in February (leap year). James Duff Bryce Johnson and I worked together on Popular. One of the best actors I've ever had the pleasure of working with on a regular basis! James Duff Raymond has a lot of resources as an actor and we don't get to use near enough of them on our show. But we give him as many opportunities as time will allow, and in the February episodes, he and Amy have major stories that run along side of the murder. James Duff Raymond's favorite moments are: from The Closer, "Hi, Marty." And his favorite scene so far is his opening up about the death of his wife, because we led up to it for years and years and years. He first talks about it at Brenda & Fritz's wedding reception. James Duff Jonathan Del Arco just texted me saying he's sad Dr. Morales wasn't in this episode! We don't always have a morgue scene in every episode. And that's a shame because Jonathan is a genius! James Duff Dally Anne C says Julio has changed a lot. He hasn't though. He has always had issues with his temper. Which is why he's so buttoned down. What's changed is that we have been able to feature him more. James Duff Some of our episodes, as our regular fans know, are lighter and some are darker. This one turns out to have an emotional center played by Raymond as he does the final explanation of the mystery in the very last scene of the show. James Duff Rusty is still around because he's the son of the leading character. And this show is not just about murders, but about the people who solve them. And the people who have their lives permanently affected by crime. It's a curious question to me because mostly parents and children go together. Rusty also provides us a window into Sharon's personal life. And another, more innocent view of the justice system. James Duff let's meet back here next week on the Monday before Thanksgiving for an episode where Major Crimes investigates a case of road rage that veers off the road. You can find Mystery Playground on Facebook and on Twitter +Mystery Playground. 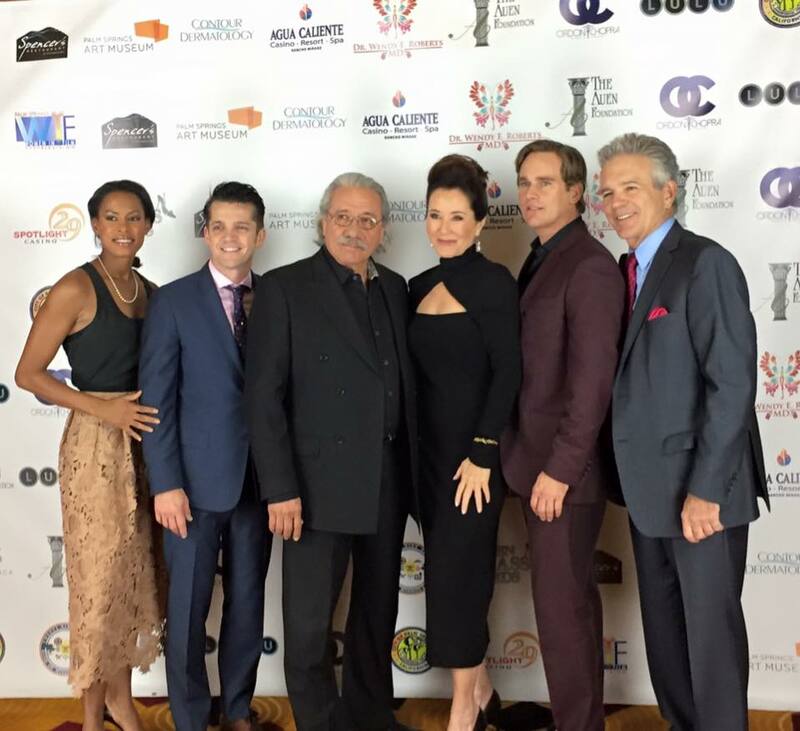 See our past coverage on Major Crimes here.